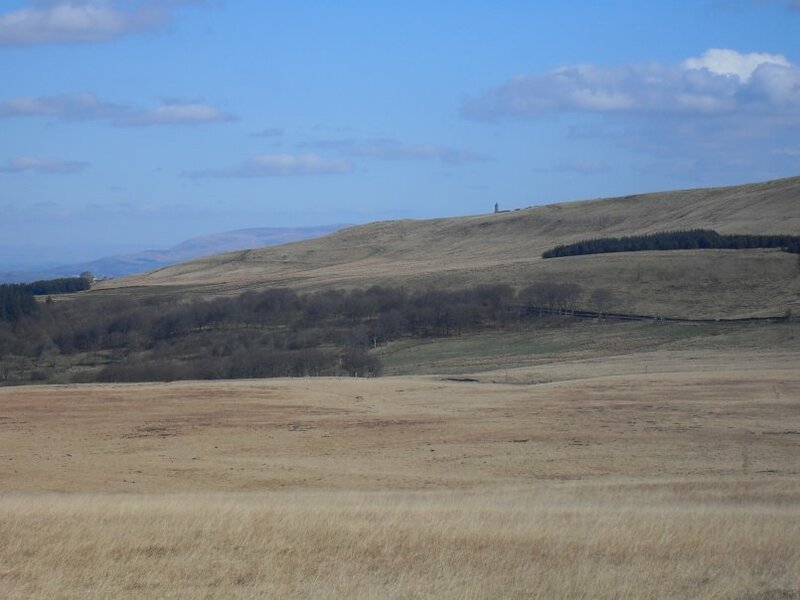 For various reasons I couldn't get to the Lakes this weekend but the weather on Sunday was so good that I went for a walk over the West Pennine moors to Rivington Barn. 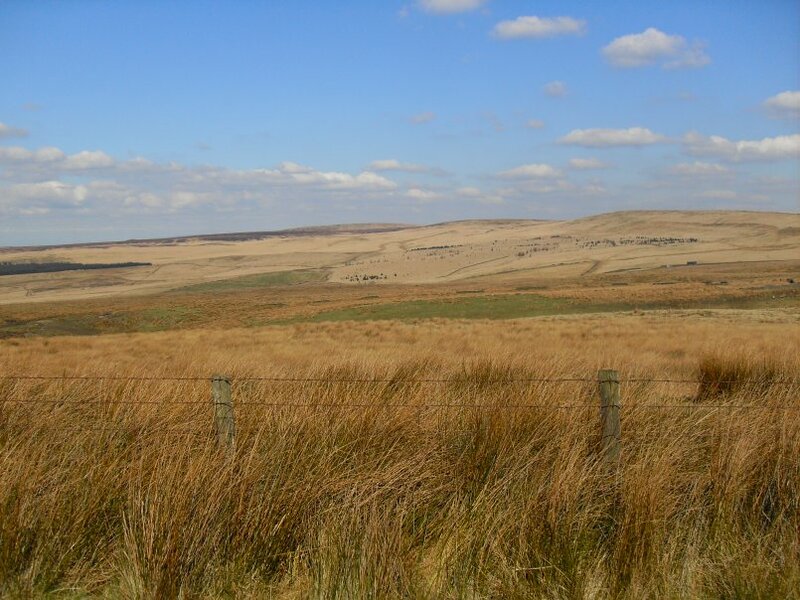 About 15 minutes from my front door I entered the open moorland. Its always nice to feel welcome. 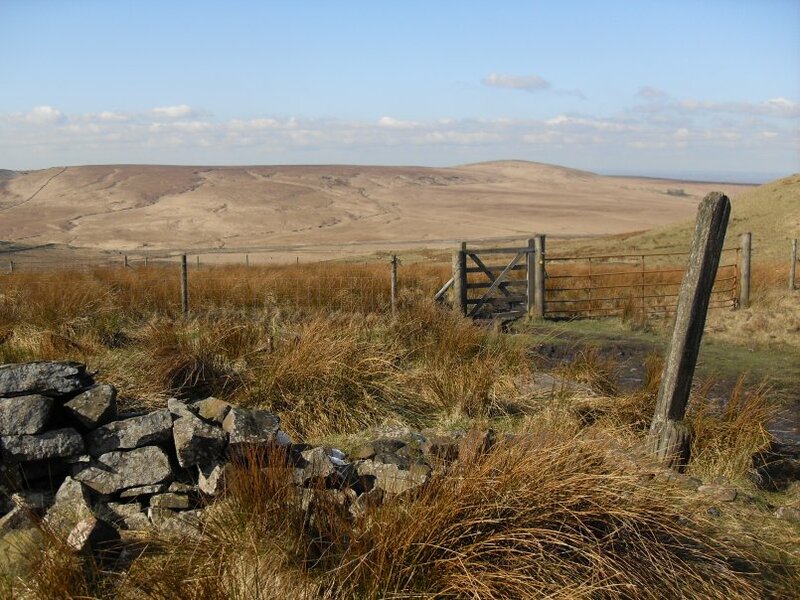 Heading across Darwen Moor. 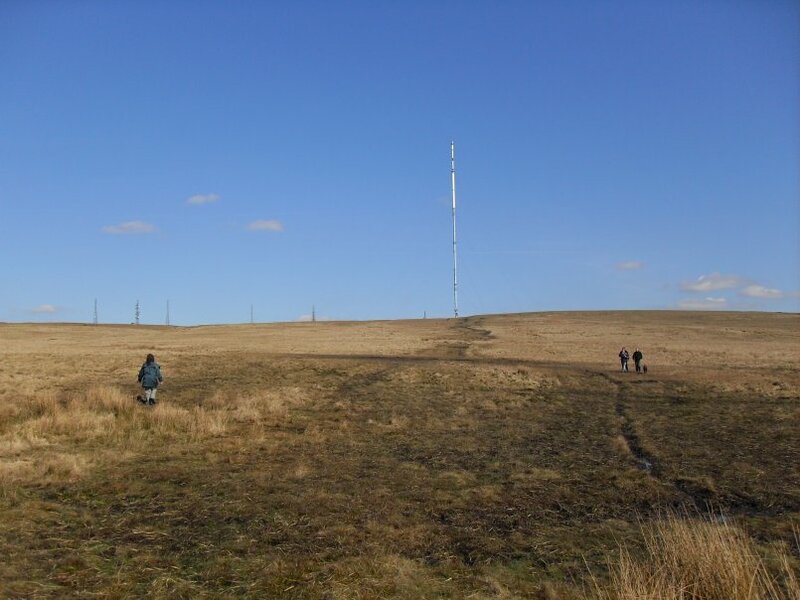 You can just about make out Winter Hill and its TV masts through the haze. I would pass the masts on the way home. A 1960 vintage sign. 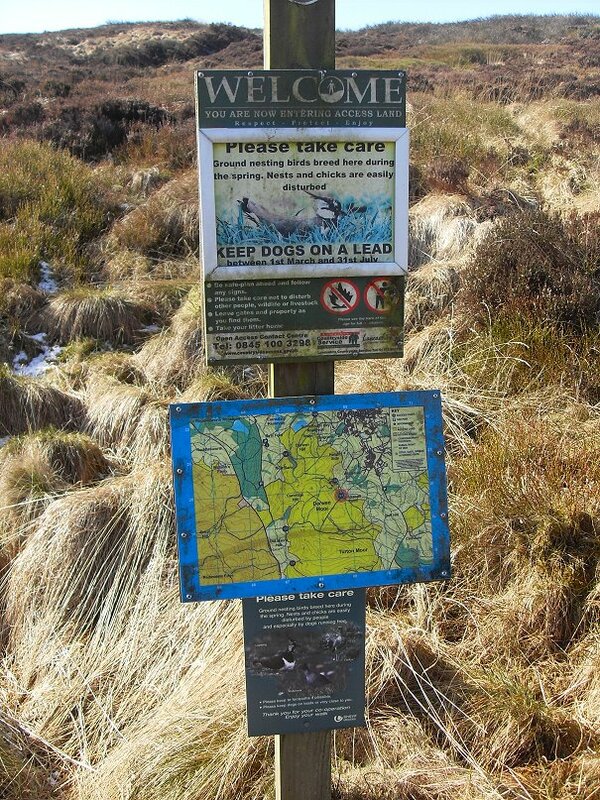 I wonder if AW walked these moors as they are only a couple of miles from Blackburn.. 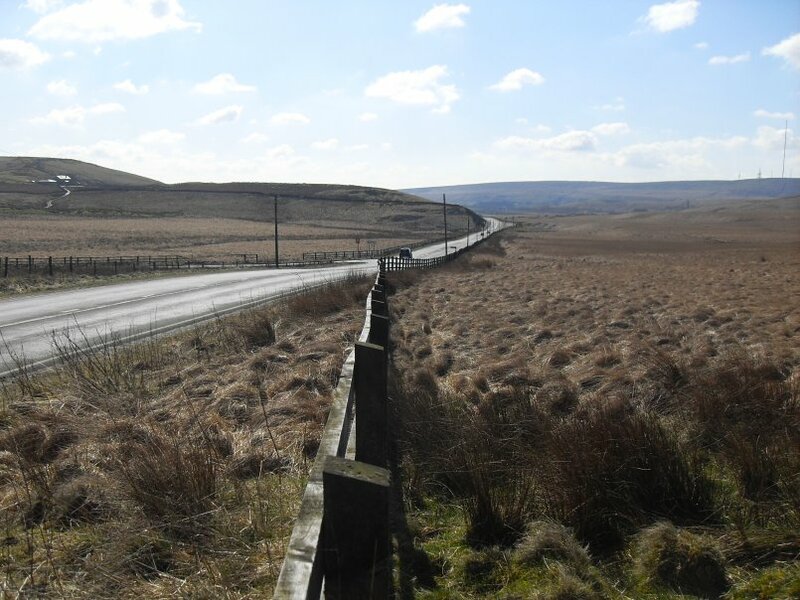 Heading down of the moor to the A575 Bolton to Preston road. 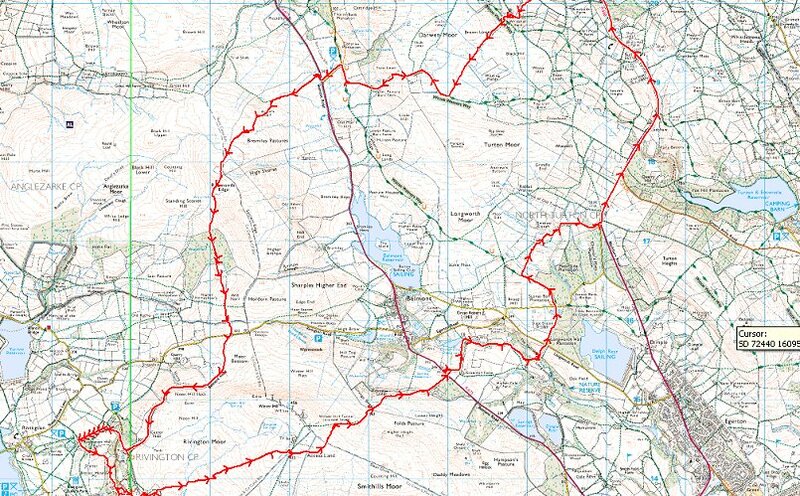 My route took me up a mainly pathless climb to the ridge. 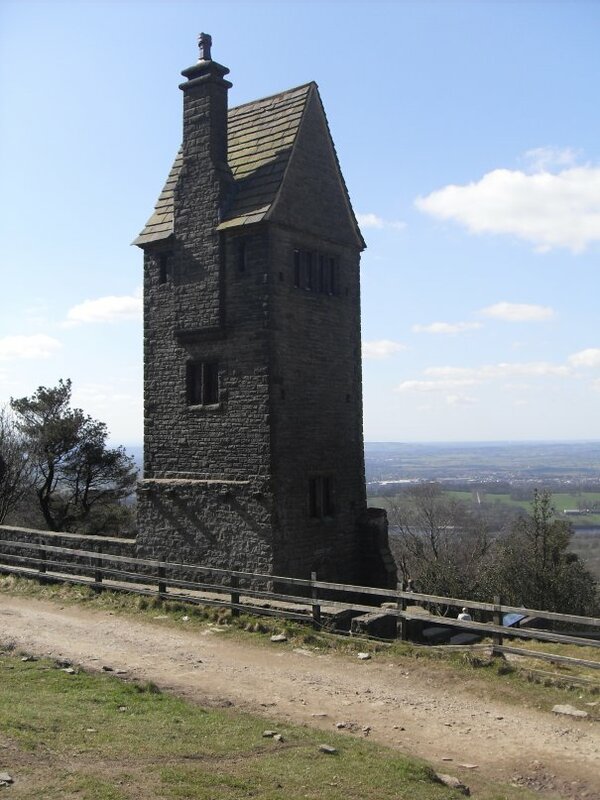 Darwen Tower come into view as I climb higher. 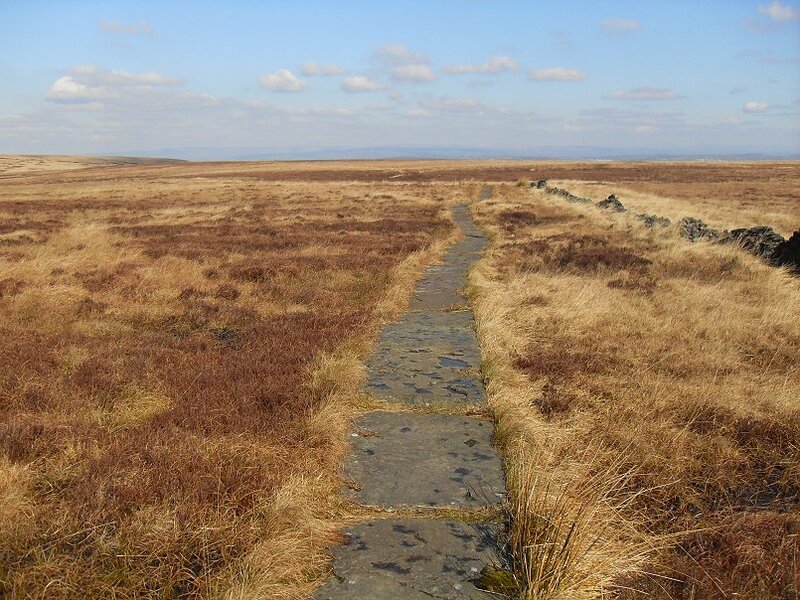 This paved slab path came as a welcome surprise after a very boggy climb. 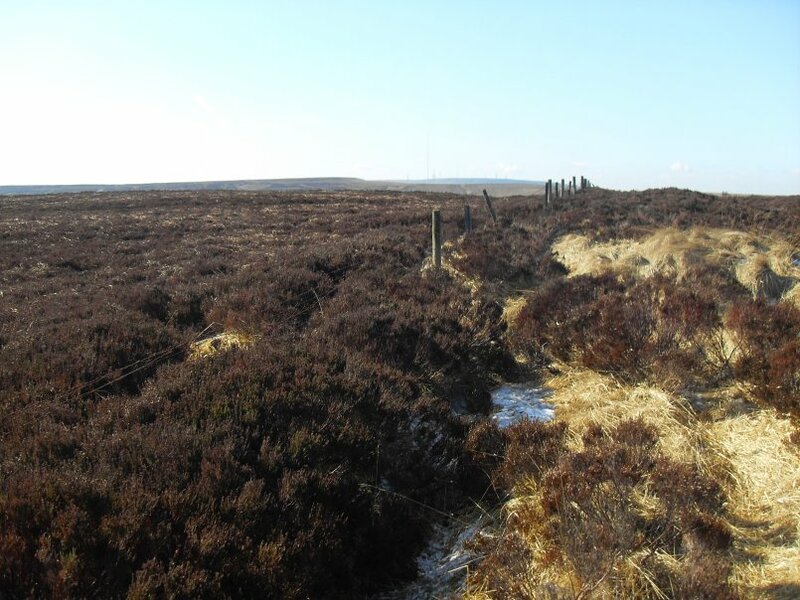 I made a mistake by leaving it when it detoured round a small rise and took the direct route which was a real slog across boggy ground with deep tussocks of grass and the stumps of felled trees. 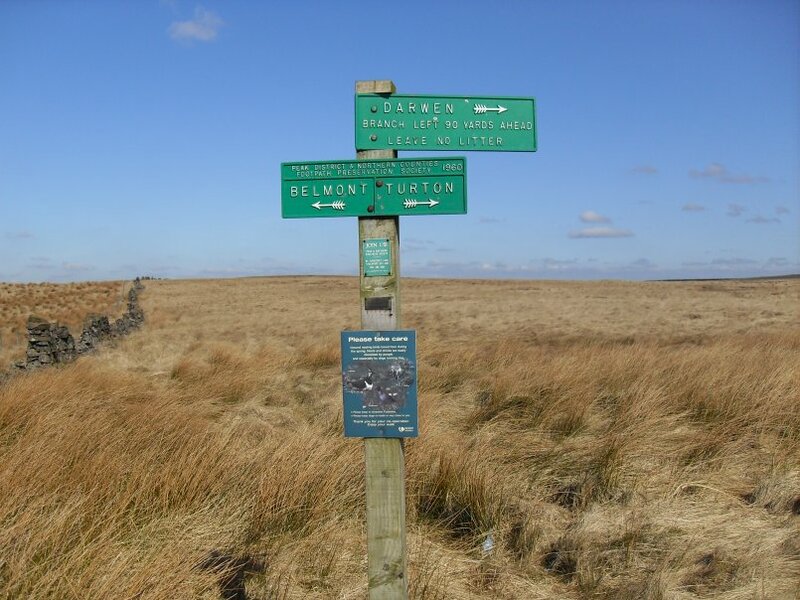 Eventually I came to the old road from Belmont to Rivington. 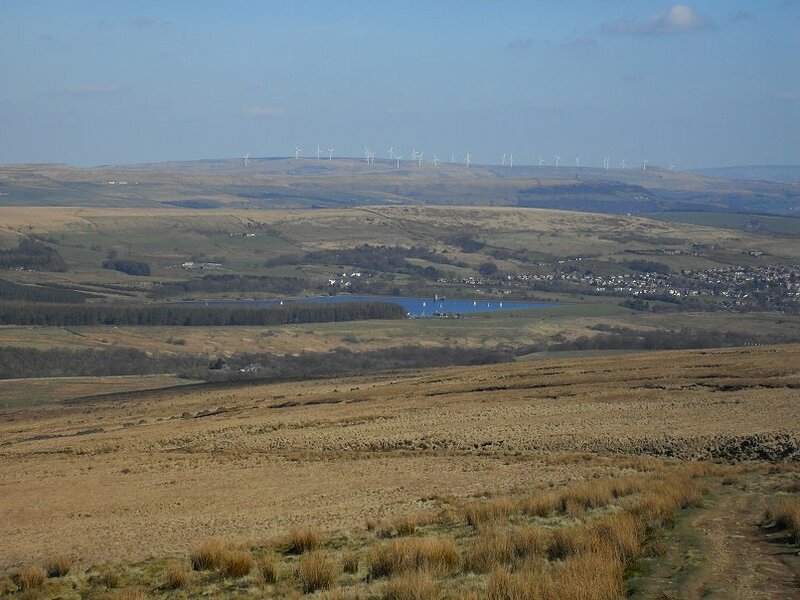 One of the reasons for visiting Rivington was to have a look at the bikes. 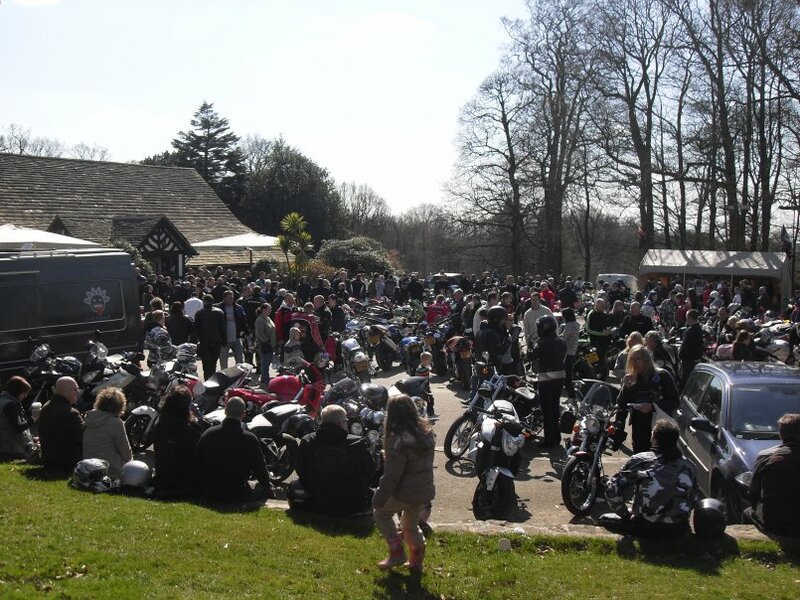 Rivington Barn has been a bikers meeting place for as long as I can remember and I used to spend many a Sunday blasting round the lanes and then stopping at the barn, having a brew and checking out the machines. A bit like the O.D.G but with more leather :). 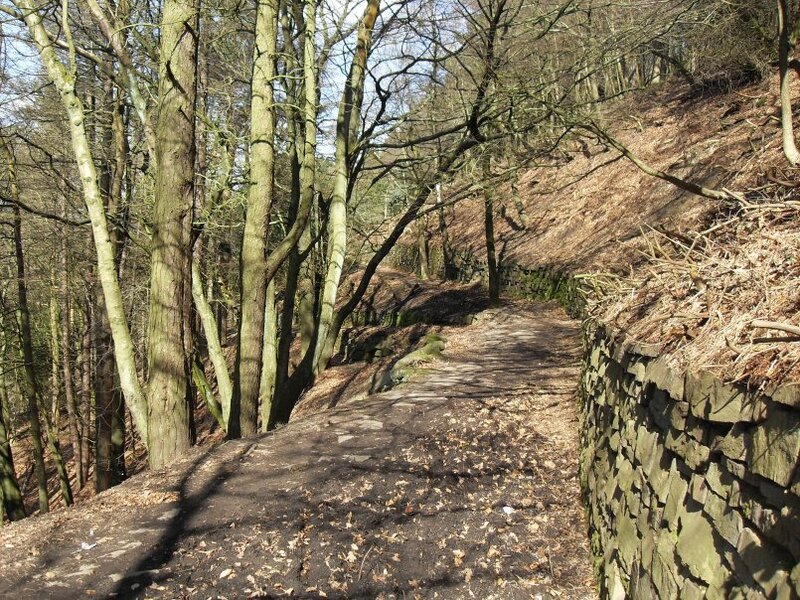 After a brew I made my up to Rivington Pike by way of the terraces in the ornamental gardens. 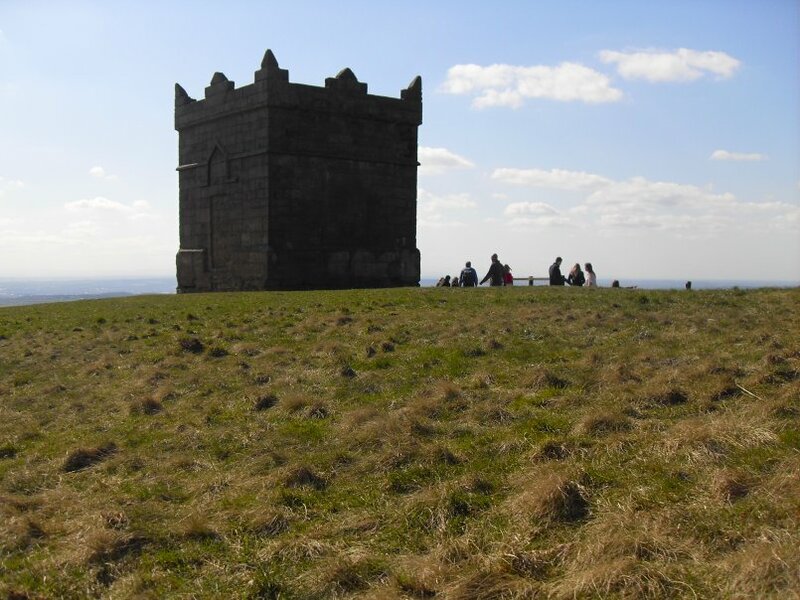 The tower on Rivington Pike. 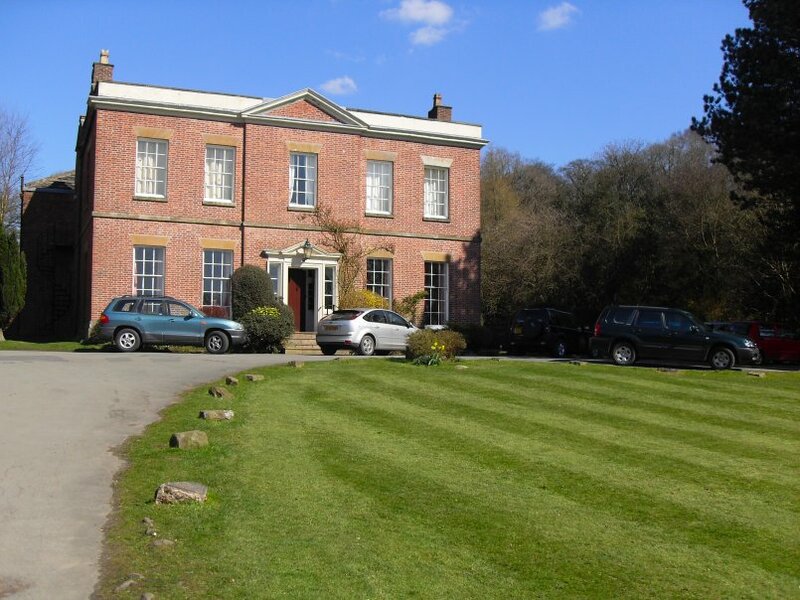 Built in 1733 it was used as a shelter for grouse shooting parties. 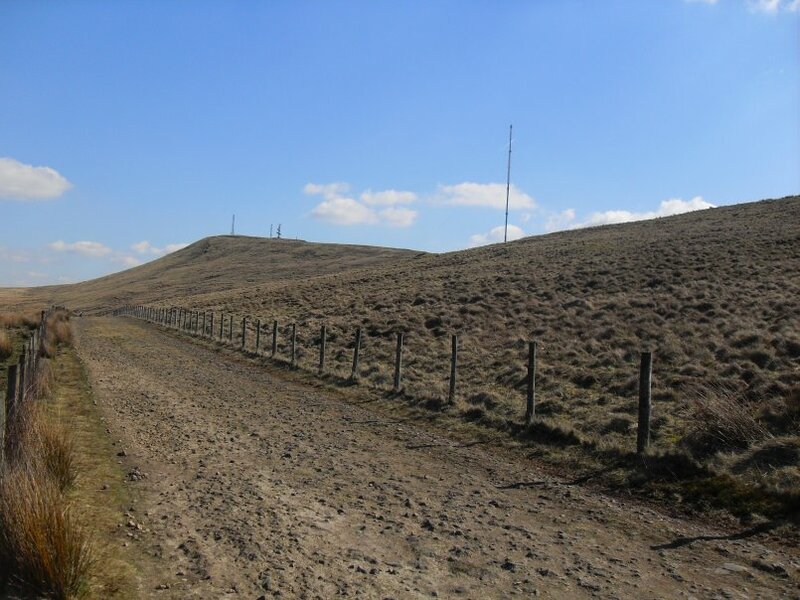 On the return leg now crossing the very boggy saddle between the Pike and Winter Hill.